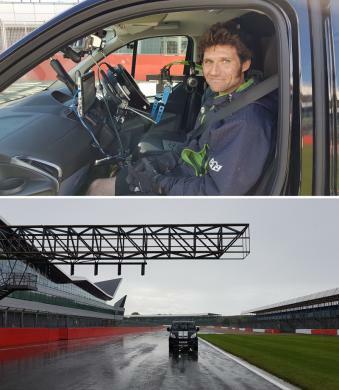 Channel 4's ‘Rise of the Robots' season saw TV presenter and motorbike racer Guy Martin working with AB Dynamics' driving robots. The programme, which aired on Sunday 26th November at 9pm, showed Guy attempting to create the world's fastest driverless van by fitting AB Dynamics steering, pedal and gear robots into a Ford Transit. The construction of the driverless van took place in Guy's shed at his home near Grimsby. It is then tested on a local closed road, and finally taken around Silverstone to see how fast it can go. You can see the segment which featured AB Dynamics here.